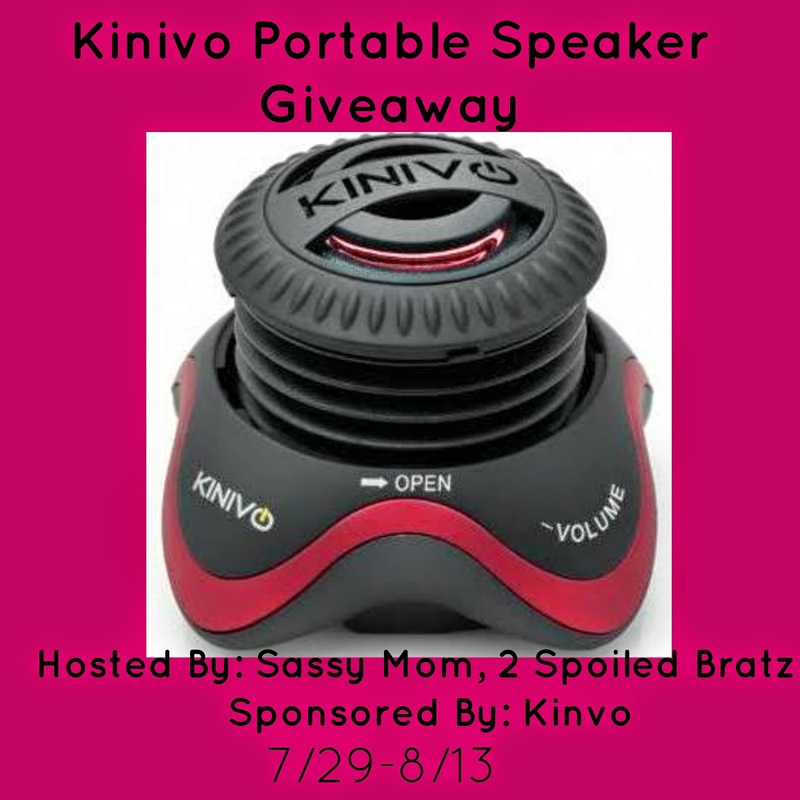 Sassy Mom, 2 Spoiled Bratz and Kinivo are teaming up to bring you this awesome giveaway for one ZX100 mini portable speaker. The prize retails for $20!! I love to have my tunes with me wherever I go. At the beach, working in the garden and at the pool. Music motivates me and i really need it sometimes. This would be for me and I'd use it beach or pool side. I'd use this to listen to music while I'm in the shower, hanging out on the deck, or cooking in the kitchen. Sometimes I carry my laptop into the kitchen to listen to music, but I'd prefer not to keep it around a lot of splattering foods or liquids threatening to spill on it, like when it's on the kitchen counter. This speaker looks perfect!